The court process by which a Will is proved valid or invalid. The legal process wherein the estate of a decedent is administered. In general, the probate process involves collecting the decedent’s assets, liquidating liabilities, paying necessary taxes, and distributing property to heirs. 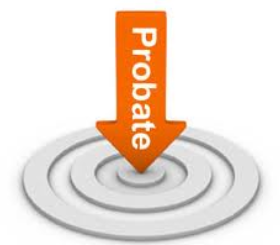 Probate procedures are governed by state law and have been the subject of debate and reform since the 1960s. The probate of a will means proving its genuineness in probate court. Unless otherwise provided by statute, a will must be admitted to probate before a court will allow the distribution of a decedent’s property to the heirs according to its terms. As a general rule, a will has no legal effect until it is probated. A will should be probated immediately, and no one has the right to suppress it. The person with possession of a will, usually the personal representative or the decedent’s attorney, must produce it. Statutes impose penalties for concealing or destroying a will or for failing to produce it within a specified time. Probate proceedings are usually held in the state in which the decedent had domicile or permanent residence at the time of death. If, however, the decedent owned real property in a another state, the will disposing of these assets must also be probated in that state. To qualify as a will in probate, an instrument must be of testamentary character and comply with all statutory requirements. A document is testamentary when it does not take effect until after the death of the person making it and allows the individual to retain the property under personal control during her or his lifetime. A will that has been properly executed by a competent person—the testator—as required by law is entitled to be probated, even if some of its provisions are invalid, obscure, or cannot be implemented. A will made as a result of Fraud or Undue Influence or a will that has been altered so that all its provisions are revoked will be denied probate. If the alteration only revokes certain provisions of the will, the remaining provisions can be admitted to probate. All separate papers, instruments, or sheets comprising the most recent of a testator’s wills will be admitted to probate. Where a later will does not explicitly revoke all prior wills, two separate and distinct wills can be probated. Probate courts seek to carry out the declared intention of a testator regarding the disposition of property, and they resort to distributing property according to the law of descent and distribution only where no reasonable alternatives exist. As a general rule, the original document must be presented for probate. Probate of a copy or duplicate of a will is not permitted unless the absence of the original is satisfactorily explained to the court. If a properly proved copy or duplicate of a will that has been lost or destroyed is presented to the court, it may be admitted to probate. Some states have special proceedings to handle such occurrences. A thorough and diligent search for the will is necessary before a copy can be probated as a lost will. A codicil, which is a supplement to a will, is entitled to be probated together with the will it modifies, if it is properly executed according to statute. If it is complete in itself and can stand as a separate testamentary instrument independent of the will, the codicil alone can be admitted to probate. A codicil that has been subsequently revoked by another codicil is not entitled to probate.